Five soldiers and a civilian were killed and 10 people injured in the February 10 attack on the Sunjuwan army camp. The four Jaish-e-Mohammed terrorists who carried out the suicide attack were killed. The attack was one of the worst since the 2016 Uri attack, in which 19 soldiers were killed. 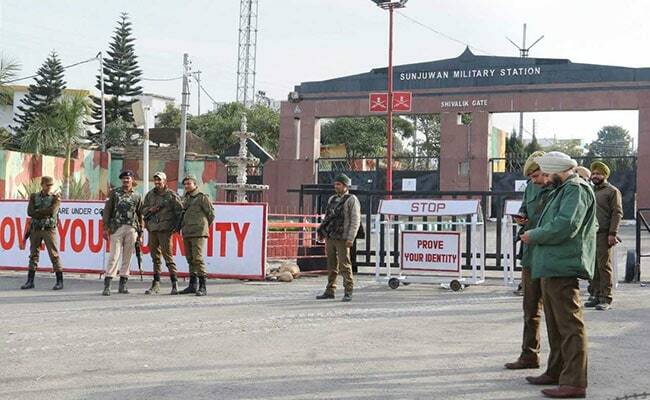 New Delhi: Acting on the Home Ministry's direction, the National Investigation Agency (NIA) on Thursday said that it has registered a case in connection with the terror attack on the Sunjuwan army camp in Jammu. "In compliance with the MHA order, the NIA has re-registered a case in the Sunjuwan Army camp terror attack case," an NIA official told news agency IANS. The case has been registered under sections of criminal conspiracy, waging war against the country, murder and attempt to murder. The agency also registered the case under sections 7 and 27 of the Arms Act and sections 16 and 18 of the Unlawful Activities (Prevention) Act, 1967. The terrorists had entered the complex wearing army combat uniform and were armed with AK-56 rifles and under barrel grenade launchers. They were killed after an encounter that lasted more than 36 hours. Following the deadly attack, Defence Minister Nirmala Sitharaman, who visited the army camp, said that Pakistan will "pay for its misadventure". There have been numerous attacks on police, paramilitary and Army camps in Jammu and Kashmir over the last two years. In April last year, three soldiers including a Captain, were killed in an attack in Kupwara. In September 2016, seven soldiers died and three terrorists were killed at an Army camp in Nagrota near Jammu, not far from the Sunjuwan camp.